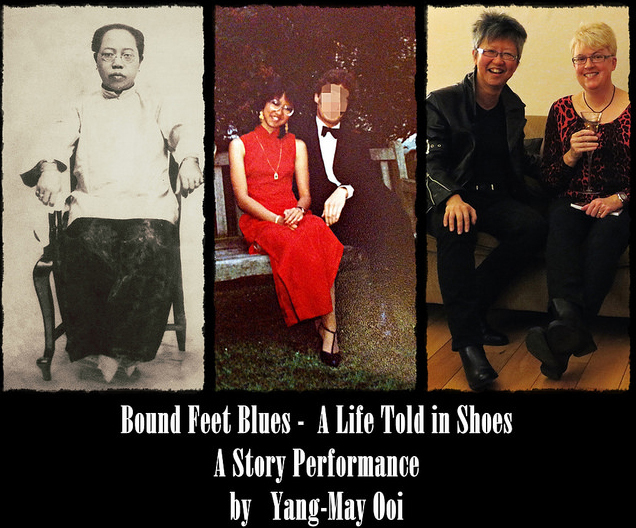 Bound Feet Blues was solo story performance by writer/ performer Yang-May Ooi. In Chinese tradition, women with tiny bound feet were desirable as wives and lovers, their delicate feet seen as objects of both status and sexual fetish. What can the ancient tradition of footbinding tell us about the role of women beneath the gaze of men and the relationship between mothers & daughters? In Bound Feet Blues Yang-May Ooi explores themes of female desirability, identity and empowerment in this personal story told through the shoes in her life – from stillettoes and expensive Italian pumps to trainers, hiking boots and biker boots. The sell-out stage performance of Bound Feet Blues took place at the Tristan Bates Theatre from 24 Nov – 12 Dec 2015. The show was part of the South East Asian Arts Festival for the second year running. Bound Feet Blues, the book, published by Urbane Publications, explores in depth the family and personal stories behind the story told in the stage show – find out more at the Book page. The book has sold out its first print run. Although the book has sold out its first print run, there are some copies still available direct from the author. 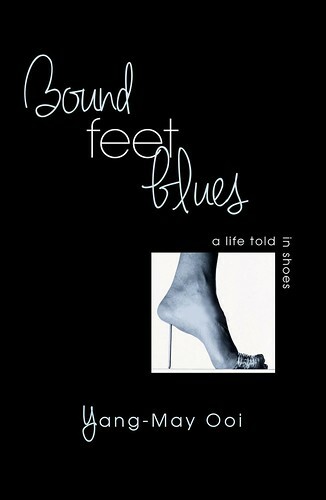 Contact Yang-May Ooi to buy signed copies of the Bound Feet Blues, with a personal dedication if requested, via the Contact page.